Winning Fights focuses on 2,500 years of proven fighting principles originating from Eastern concepts and proceeding to the modern era. Like The Art of War and The Book of Five Rings, many of its lessons also apply to the world of business and negotiation. Dr. Phillip Stephens conducted extensive research in developing this work. He drew from his years of martial training and his experience as a member of the North Carolina Boxing Commission. He even reached out to combat personnel at Fort Bragg, North Carolina, who offered additional insight on what it takes to prepare for combat—and to prevail. 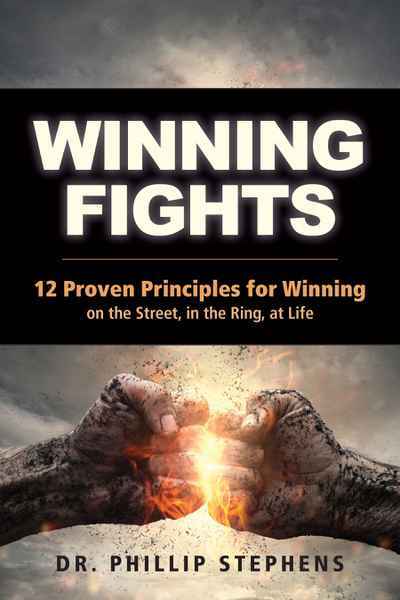 Dr. Stephens looked beyond the technical to the conceptual and found that winning fights requires twelve core principles: preparation, awareness, commitment, lethality, efficiency, discipline, power, focus, fierceness, surprise, timing, and fortitude. This book features • Twelve principles for winning fights• A survey of Eastern and Western traditions• An intelligent yet accessible discussion of these concepts.